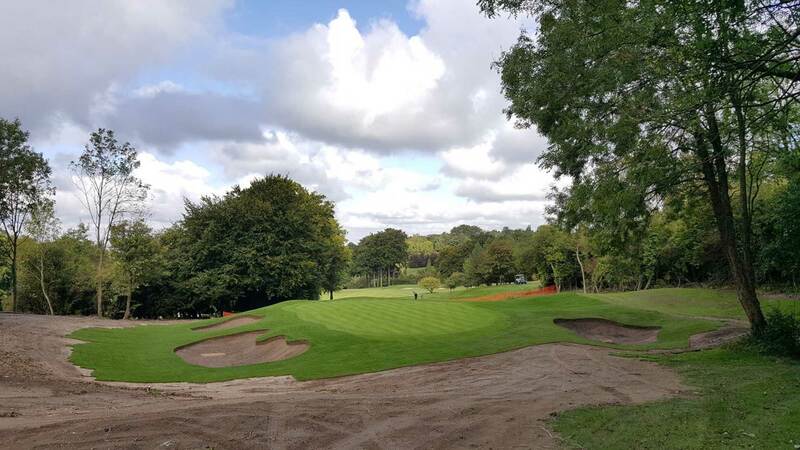 Our wide range of golf turf is produced by qualified golf greenkeepers utilising only the best seed cultivars available and grown in carefully selected fields containing free draining indigenous sandy soil. 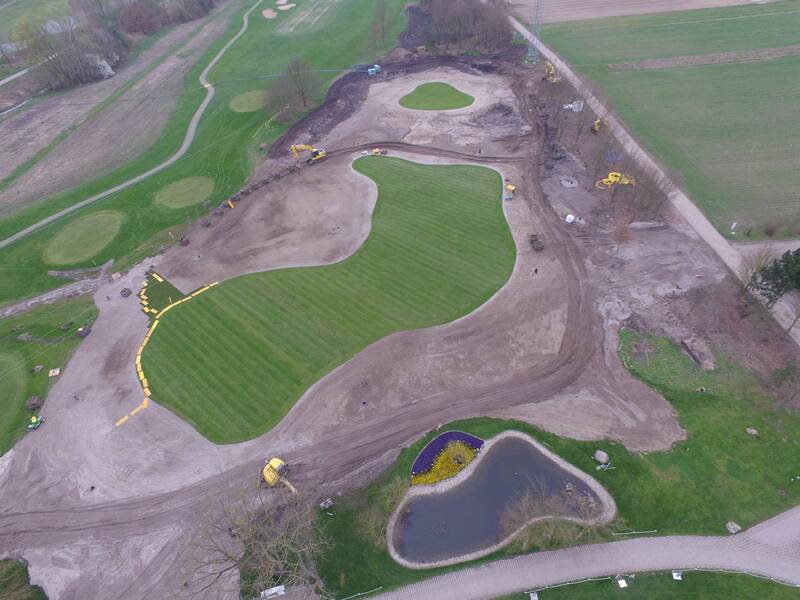 On a golf course we understand that the performance and consistency of a golf green will be of the highest priority. 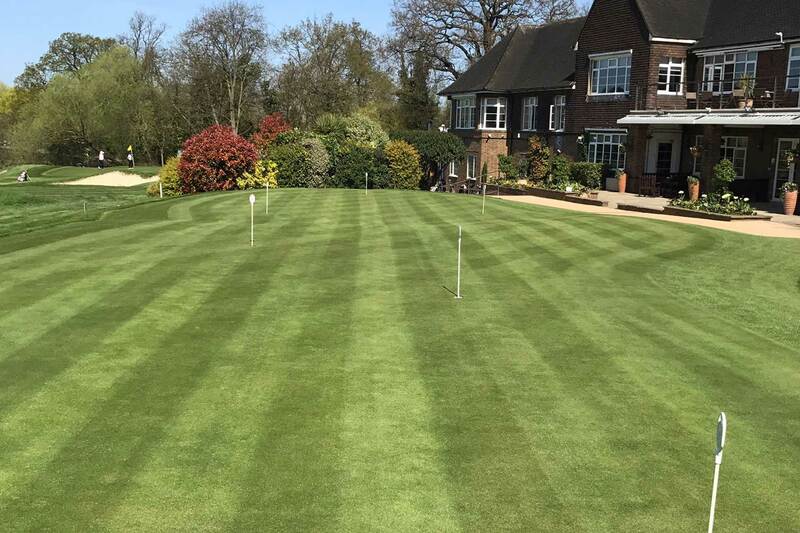 Whether you're looking to match an existing poa bent sward or turf a new green constructed to USGA specification, you'll find a compatible solution in our range of greens turf products. 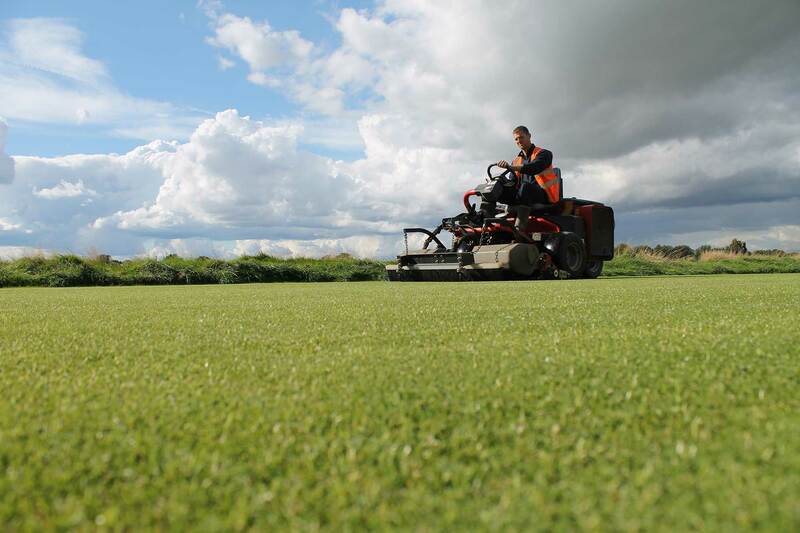 Managed throughout production by highly qualified, experienced greenkeepers you can be assured of exceptional sward quality along with unrivalled technical and after sales support. Our pioneering Rootzone Greens Turf has become Tillers’ flagship product and can be found on golf courses throughout the UK and Northern Europe. 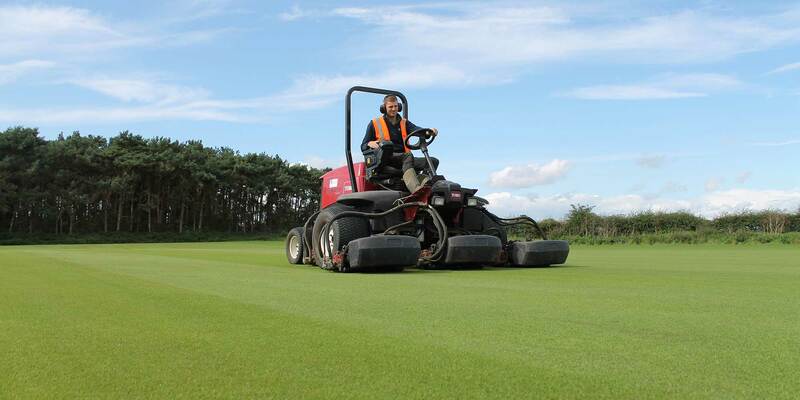 Regular top dressing utilising a USGA specification sand to the required depth ensures a turf that is compatible with both USGA and other high sand content rootzones. 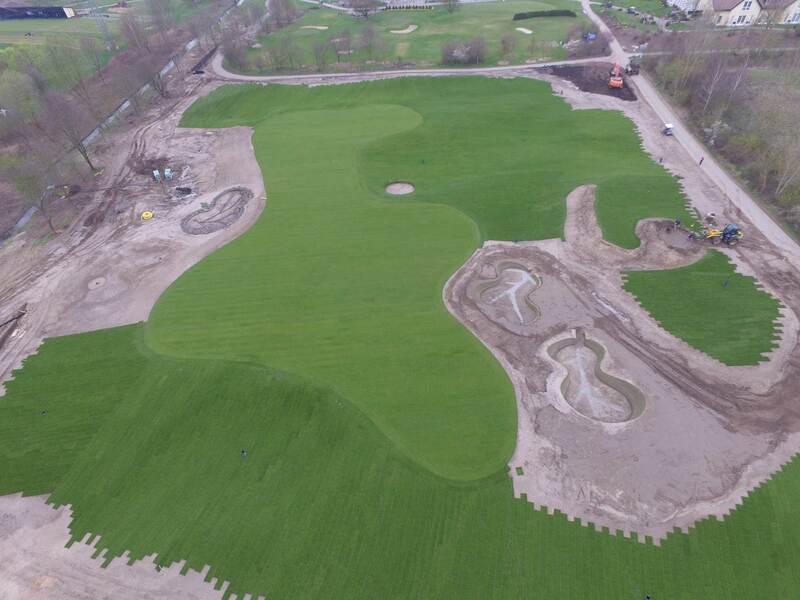 Compatibility between turf and rootzone ensures efficient water and nutrient infiltration resulting in deeper and healthier root systems promoting finer grasses and increased drought tolerance. Mown daily during the growing season to a height of 6mm and as necessary at 8mm over the Winter months. Available in small roll 1.62m x 0.62m (1m²) and big roll format. The USGA specification green profiles below illustrate the advantages of using our Rootzone Greens Turf in contrast with our Greens on Soil. Instant compatibility between turf and rootzone ensures efficient water and nutrient infiltration and results in a deeper, healthier root system and quicker passage to play. Water and nutrient retention in the indigenous soil layer may result in a shallower root habit. Rootzone based greens using Greens on Soil Turf may be slow to establish and require additional inputs. 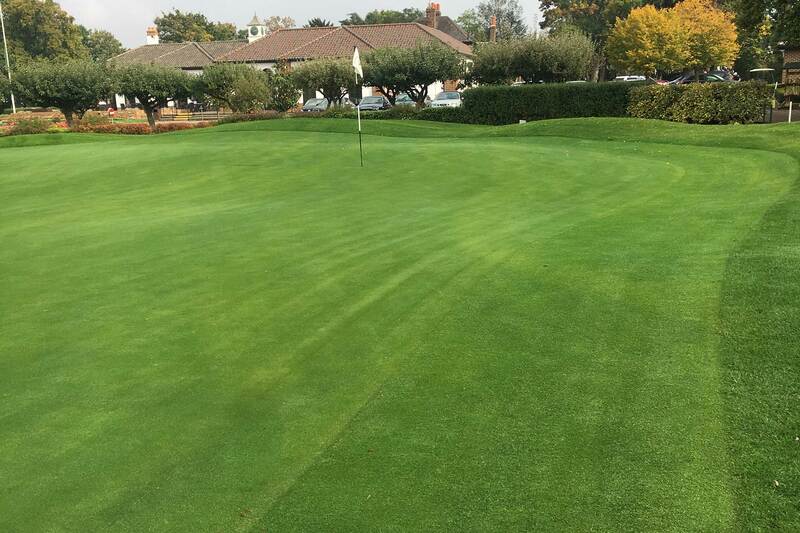 We developed Poa Bent Greens Turf, following numerous requests from greenkeepers, to match the existing poa bent swards that are symptomatic of well-established UK and Northern European golf greens. Poa Bent Greens replicates the typical playing characteristics and visual appearance of most established golf greens. 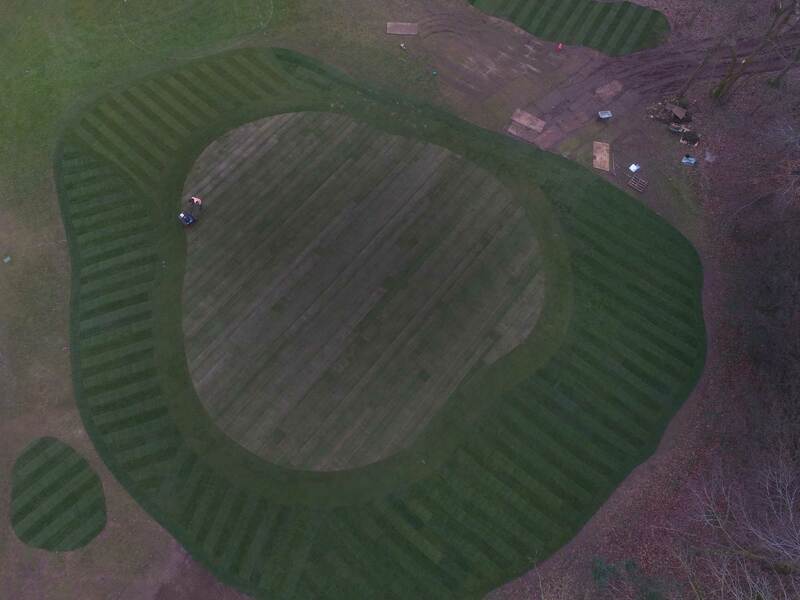 Ideal for green extensions, new green constructions to match existing greens on the course and repairing worn areas. 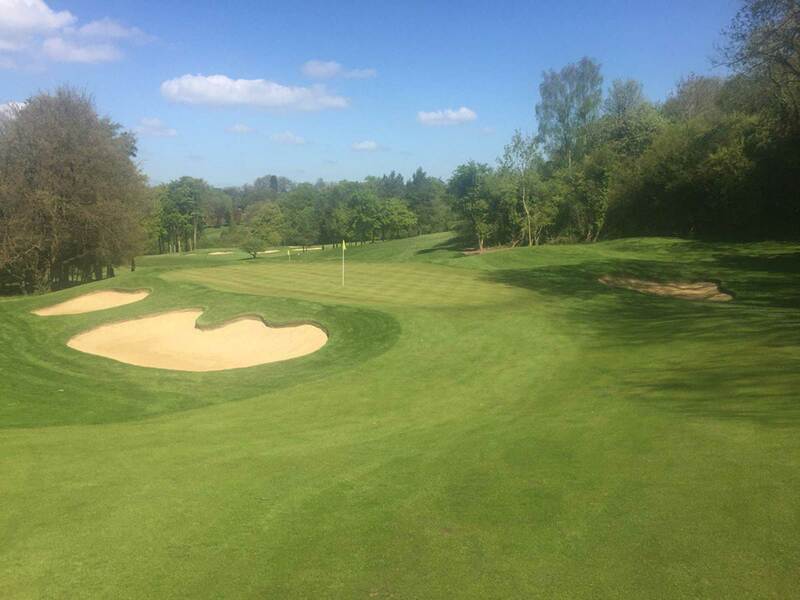 Managed as a golf green and maintained in a traditional manner conducive with the majority of UK and European golf courses. Through regular top dressing with USGA sand, this turf is compatible with USGA specification rootzone greens, as well as traditional soil based greens. Regularly mown using a dedicated triple mower to a height of 3mm in Summer and 4mm in Winter. Available in small roll 1.62m x 0.62m (1m²), big roll and a thick cut slab option for instant playability. 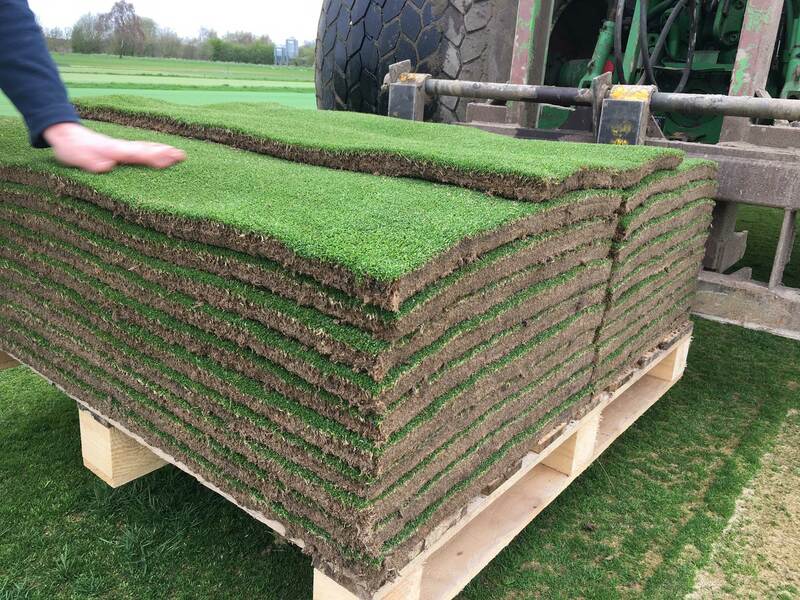 We produce Creeping Bent Greens Turf for golf clubs throughout the UK and Europe where members have high expectations and tournament conditions are often required. The monoculture, singular species composition, produces a consistent growth habit, texture and temperate response to ensure a fast, smooth putting surface. 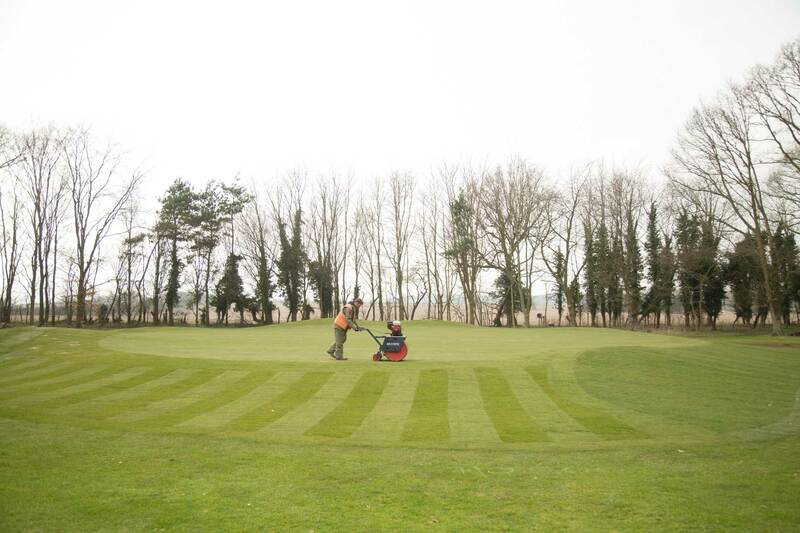 Turf production is intensively managed, as a golf green, by highly qualified and experienced greenkeepers. Regular mowing, using a dedicated greens mower, to a height of 3mm in Summer and 4mm in Winter creates a thick dense sward. Regular dressing with a USGA sand results in a product that is especially compatible with USGA specification rootzone greens. Available in small roll 1.62m x 0.62m (1m²). 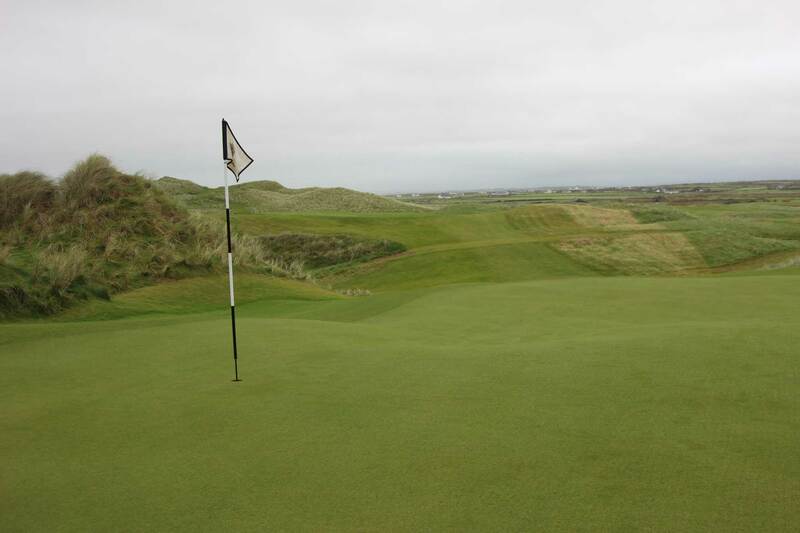 Our Greens Turf grown on light, sandy indigenous soil is ideal for traditional soil based push-up golf greens. 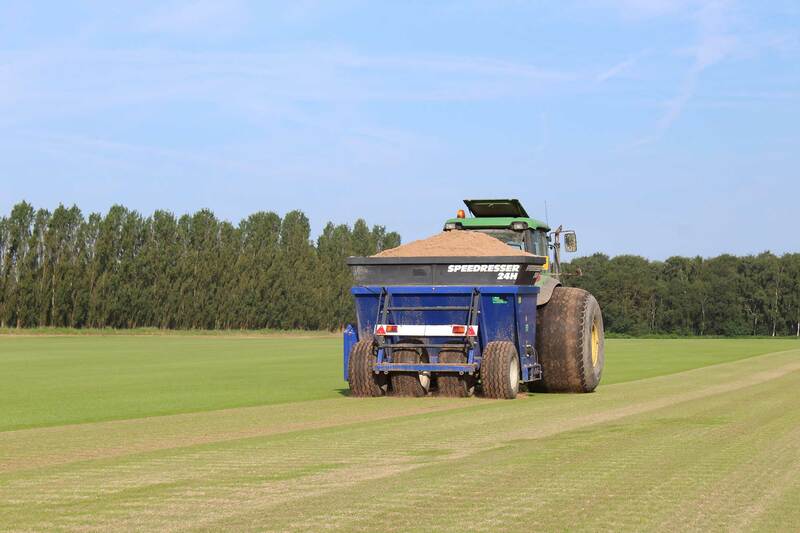 The turf is produced using the best available seed cultivars and maintained by a dedicated team of turf professionals from sowing through to harvest. Regular mowing, to a height of 6mm, creates a thick dense sward and clippings are boxed off to avoid the accumulation of organic matter. Available in small roll 1.62m x 0.62m (1m²) and big roll turf format. Regular top dressing with a USGA specification sand* along with balanced nutrient input and moisture control form part of our overall management plan. 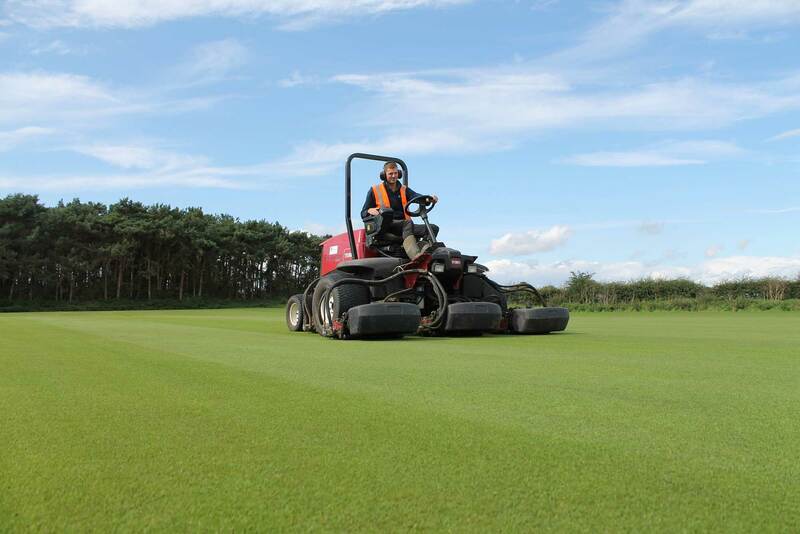 Additional brushing and boxing off clippings minimises the accumulation of organic matter. Products are regularly checked for Poa Annua and hand picked, as necessary, to ensure they are virtually free of this species** upon delivery. * With the exception of our Greens on Soil. ** With the exception of our Poa Bent Greens where the Poa Annua forms an integral part of the sward. If you wish to contact us please use the details below.